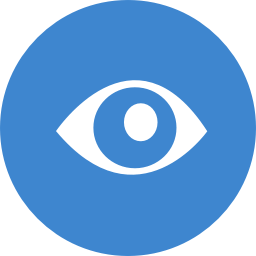 The powerful monitoring software ServerSentinel facilitates easy monitoring of servers and network shares or personal computers. A wide range of sensors enables monitoring of software as well as hardware: Keeping an eye on server and network services or hard disk health from a central machine makes sure your daily business runs smoothly. Connect a variety of hardware to ServerSentinel and use the versatile software to monitor environment influences and control appliances. Monitor room temperature with the help of this USB Temperature Sensor. Once the temperature exceeds a threshold value, ServerSentinel executes a predefined action, for example sending a text message to your administrators. Too much humidity is a bad thing - but so is too little. Monitor humidity as well as room temperature with the help of ServerSentinel and compatible hardware such as the USB Humidity/Temperature Sensor. An acoustic warning might be overheard, but you can always trust your eyes. The USB signal light will show you (even at a glance) if a connected sensor reaches the "warning" or "error" state. Switching on a secondary air conditioning system when the server room is close to overheating or initiating an emergency shutdown to prevent physical server damage is really easy. Simply connect ServerSentinel to the USB Switchable Power Socket. You want to connect one simple detector to ServerSentinel? In this case we recommend the 1-Channel USB Contact Sensor. You need to connect several detectors to your monitoring software? Simply choose the 16-channel USB Contact Sensor.